REMINDER! We have wonderful offerings for all December holidays! 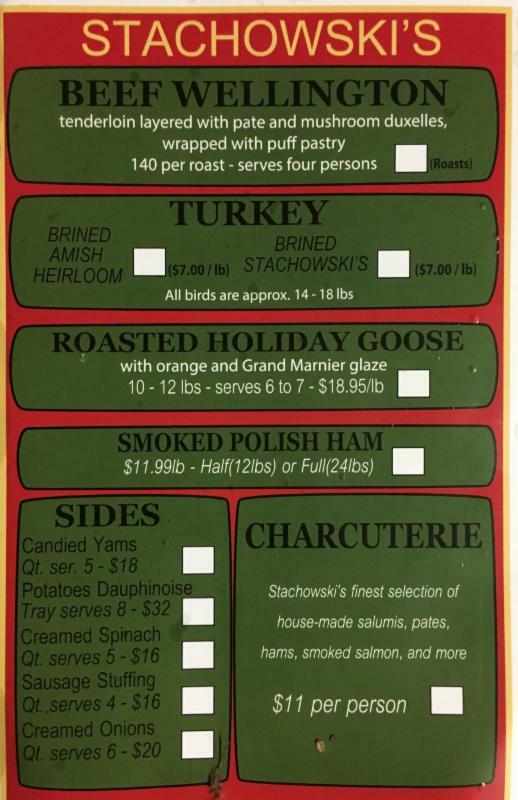 Here is our proforma, we will also cater any holiday centerpiece you have in mind: i.e. Rib Roasts, Crown Rack of Lamb, Center cut pork loin roasts, Beef Tenderloin, etc.